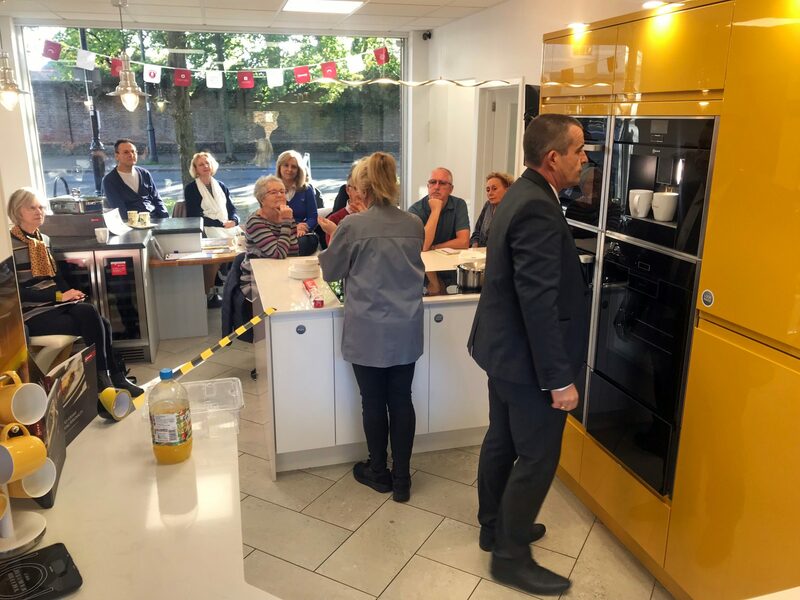 Cooking enthusiasts joined Signature Kitchens on Sunday 22nd October at our live event preparing and making delicious foods on top-of-the-range appliances. The Neff Live Cooking session welcomed clients, new and old, to the day which was from 10am to 4pm. 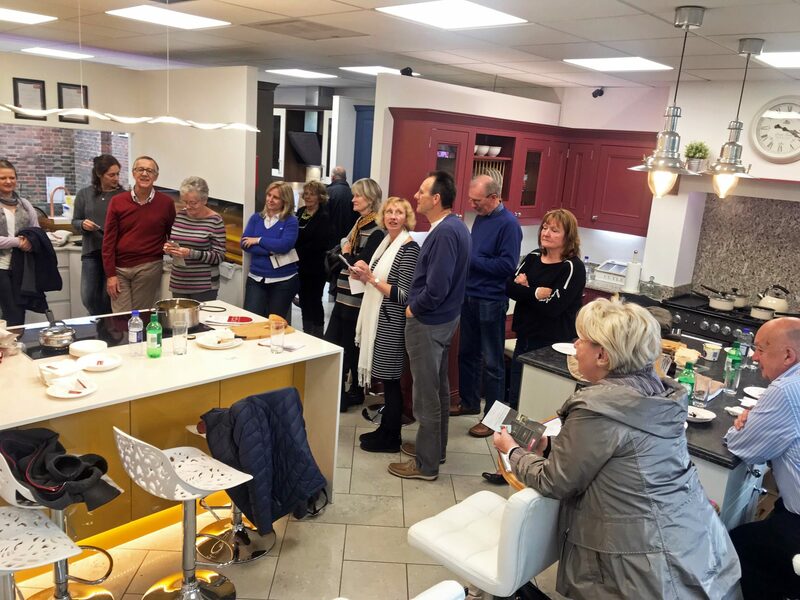 The cooking show continually grows in popularity and our Petersfield showroom had eager onlookers arriving early. 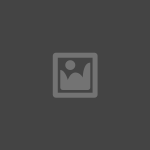 The NEFF Slide & Hide® door is the only door on the market that disappears totally under the cavity when you open it. With the door safely stowed away, not only do you have more space in the kitchen, but also it allows you to get closer to the oven itself without an awkward door sticking out at you. This allows you to baste, taste, and remove trays in an easier way. The oven is also packed full of innovative features that allow you to do almost everything you could imagine in the kitchen. Whether it be bread baking, dough proving, surface grilling, bottom heating or low temperature cooking, this NEFF model has it all. 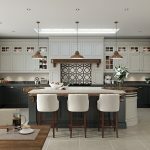 Keiron Turner, who assists clients with their designs through to overseeing the installation of their kitchens, says the day was highly successful. 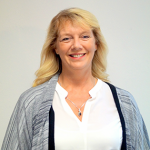 “It was a really enjoyable day and it was good to meet some new people. It is so important for people to see the appliance in action and these presentations are a prime opportunity to see that happen. 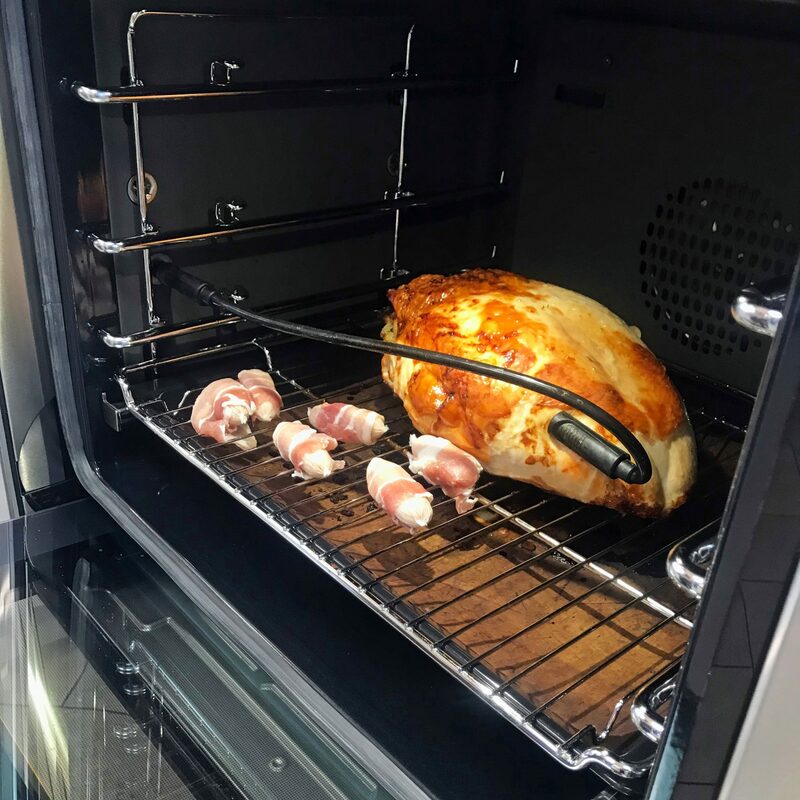 Some ovens can be in excess of £1,000 so this event allows people to really discover the endless different cooking methods available. A raffle was held on the day. The winner was Mrs Reeves. 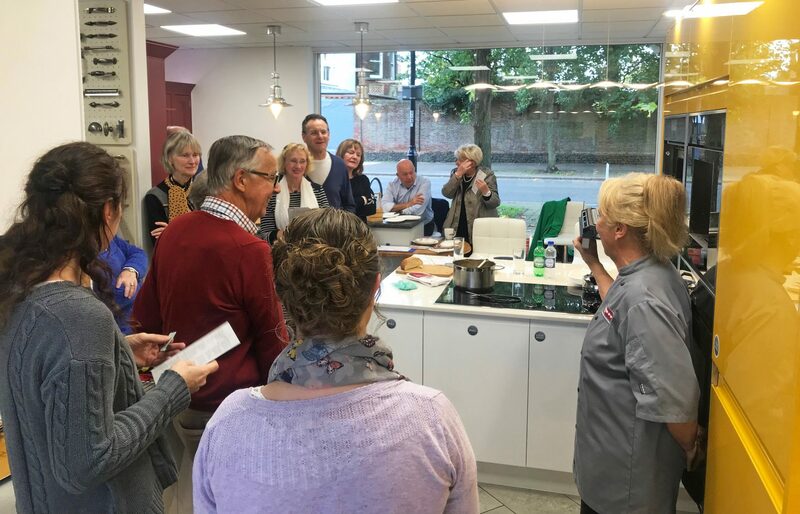 When you visit Signature Kitchen’s Petersfield Kitchen Showroom we hope you’ll appreciate the relaxed, unhurried atmosphere we have worked to create: there’s no pressure on you to accept help if you don’t require it although assistance is always there when needed.